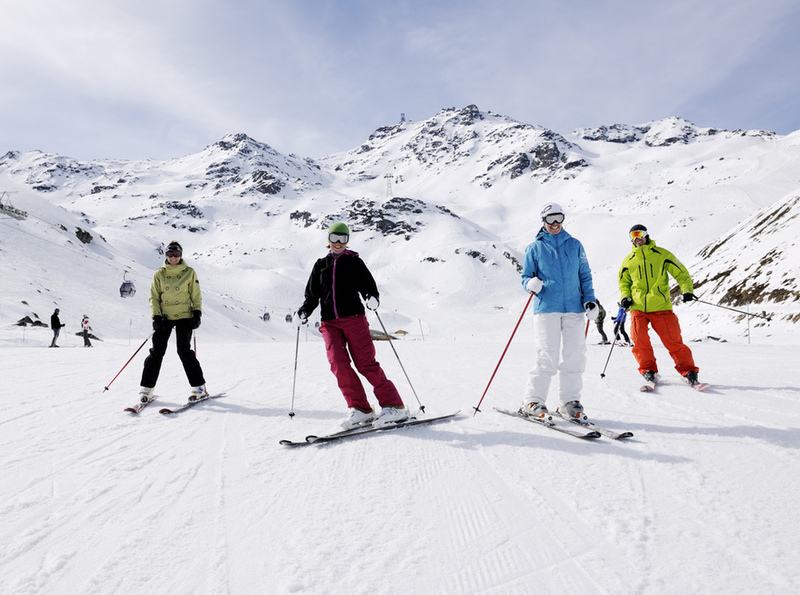 The skiing in Austria has long been popular with British skiers and boarders as there are many picturesque ski resorts and the locals are friendly. A lot of the skiing is tree-lined and the resorts are generally charming towns and villages rather than the purpose built resorts that France has to offer. 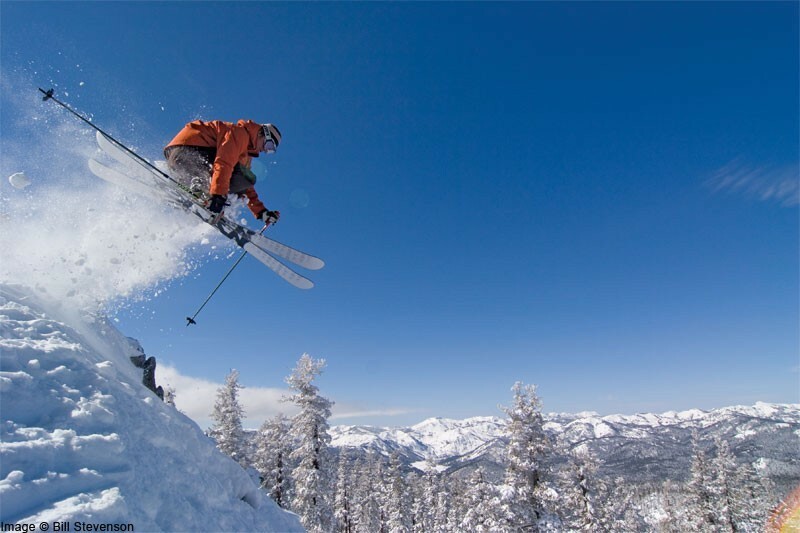 Snow reliability can be a problem for the skiing in Austria as many of the resorts are low but all of our featured resorts either have a good snow record or have access to high altitude skiing. 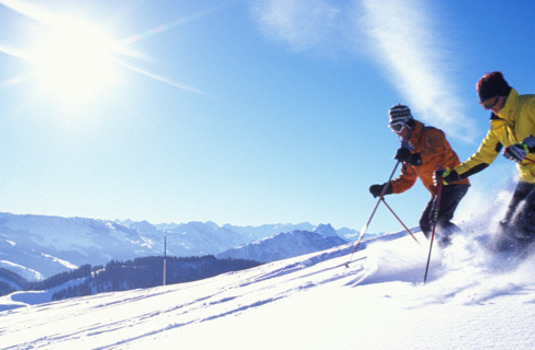 Alpbach, Lechand Obergurgl are our best featured resorts for beginners skiing in Austria. 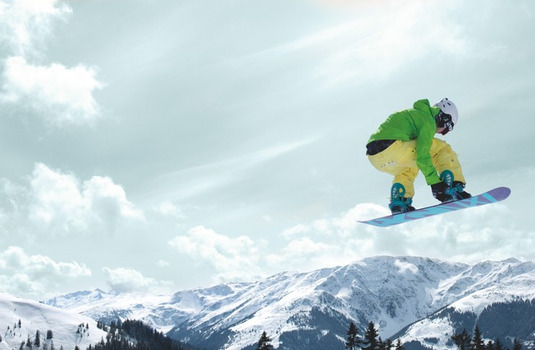 Alpbach is small and friendly with well located and sunny nursery slopes. 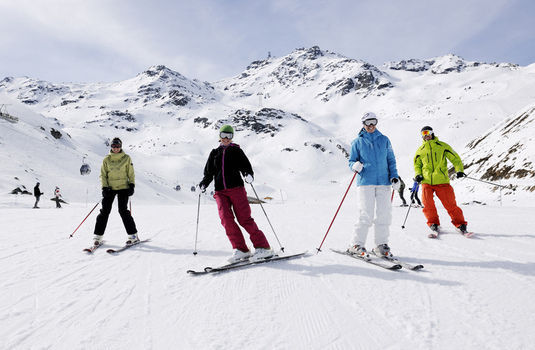 Lech is the perfect choice if you are part of a mixed group of skiers and boarders. Obergurgl is high and a good option for beginners although the nursery slope is a bit of a walk. Ischgl, Lech, Mayrhofen and Kitzbuhel are all good resorts for intermediate skiing in Austria. Ischgl offers extensive, high-altitude skiing with a fantastic lift system but be warned the wild après ski can be a bit over the top. Lech has a good snow record and is lift-linked to Zurs by lift and by bus to St Anton. The skiing is mostly tree-lined. Mayrhofen is especially good for strong intermediates as there are lots of good red runs. The resort has a relatively good snow record and there are free buses that give you access to the other Zillertal resorts including Hintertux which has a glacier. 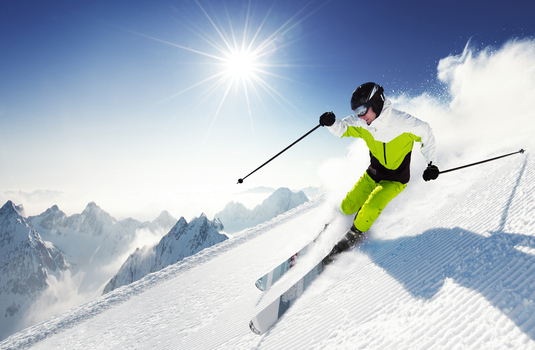 Kitzbuhel is the legendary home of the Hahnenkamm downhill ski race and it also has some extensive slopes for intermediate skiers. The resort is low so it’s probably best to book late to guarantee the best skiing conditions. If you have the budget then Lech is probably the best option for groups of all abilities that want to go skiing in Austria. If you don’t have any beginners, then St Anton is an option and if you don’t have any experts then Obergurgl could be good. 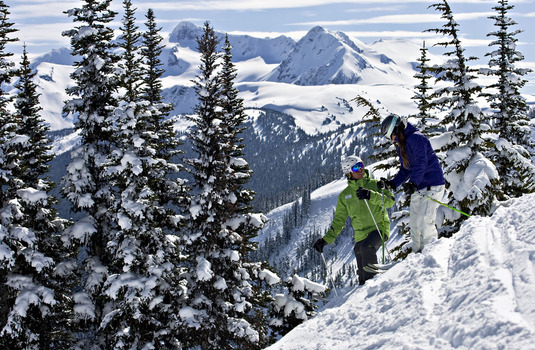 St Anton offers some of the best off-piste skiing in Austria. The best way to enjoy this and the safest way is to hire a guide. The famous Valluga run down into Zurs is an experience not to be missed but you do need a guide with you to be allowed to do it. Lech also offers some good off-piste skiing. Austria is famous for its après-ski and you’ll find after a hard days skiing that the Austrians know how to throw a party on the slopes. 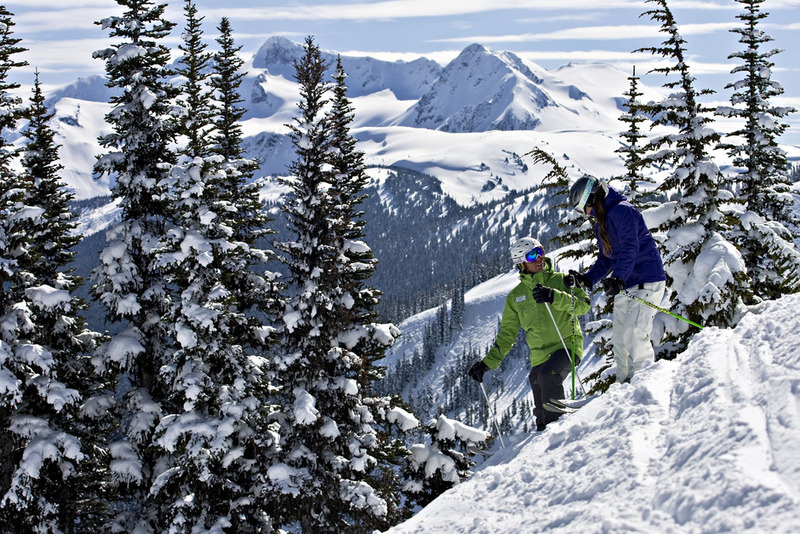 Be prepared for some loud euro-pop and some dancing in your ski boots – preferably on a table. In Austria, you ski hard, party hard and then get to bed early so that you are ready to do it all again the next day. If you like our après-ski on the wild side then Ischgl is the place to go. St Anton and Mayrhofen also have good après ski.